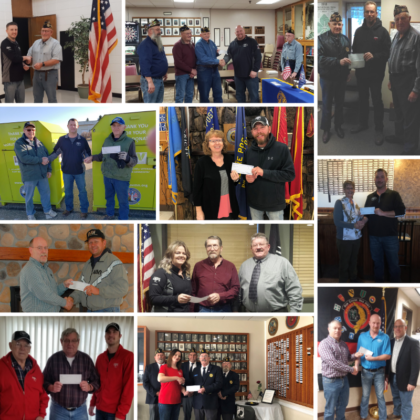 In honor of Veteran’s Day, Christensen Farms donated a total of $10,000 to Veteran’s support organizations across the Midwest. The organization collaborated with local groups in 13 communities in which it operates to provide donations to help support our veterans. The following communities and Veteran support organizations received donations from Christensen Farms this Veteran’s Day holiday: Disabled Veterans of America, Chapter 15 (New Ulm, Minn.), Disabled Veterans of America, Chapter 33 (Marshall, Minn.), Disabled Veterans of America, Chapter 24 (Montevideo, Minn.), Disabled Veterans of America, Chapter 34 (Willmar, Minn.), Disabled Veterans of America, Chapter 32 (Fairmont, Minn.), Family Alliance for Veterans of America (Forest City, Iowa), Brushy Creek Honor Flight 13th (Estherville, Iowa), Allison Amvets (Allison, Iowa), O’Neill American Legion, Post 93 (O’Neill, Neb. ), Disabled Veterans of America, Chapter 8 (Norfolk, Neb. ), American Legion, Post 8 (Pierre, SD), Disabled Veterans of America, Swanson O Connor Chapter 13 (Aberdeen, SD), and American Legion Post 211 (Paris, Ill.).